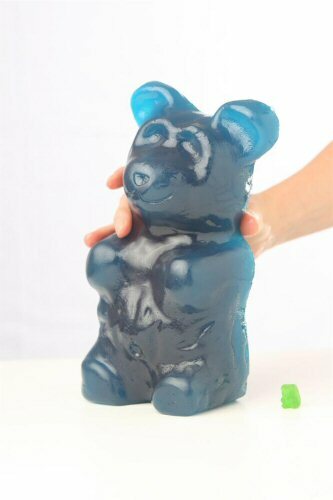 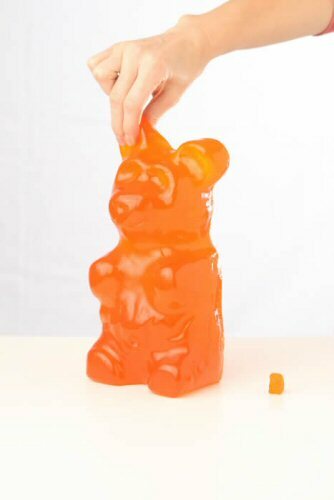 These gummy bears are the largest in the world and are made right here in the U.S. 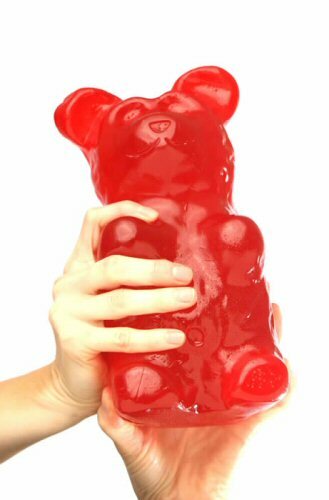 They come in 11 different great tasting flavors. 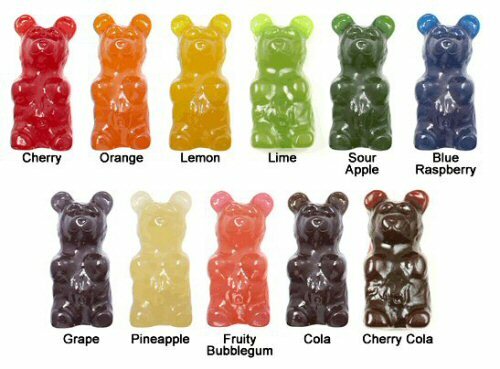 The flavors offered are cherry (red), orange, lemon (yellow), lime (light green), sour apple (dark green), blue raspberry (blue), grape (purple), pineapple (white), fruity bubblegum (pink), cola (brown) and cherry cola(red/brown).